Control usage with longer interval between re-fillings ensures cost savings. 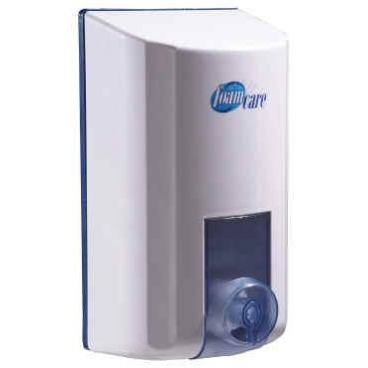 FOAMCARE Refillable Foam Dispenser creates instant foaming for quicker and easier hand wash that helps improve hygiene and reduces water requirement. 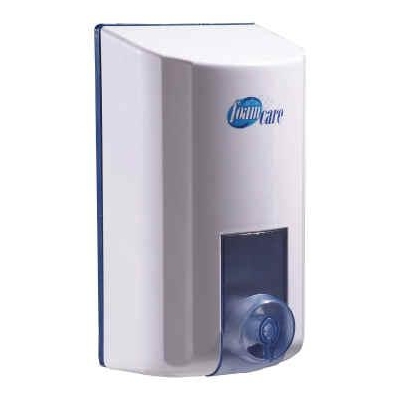 New unique, patented technology allows precise mixing of liquid and air, resulting in a dose of high quality foam with single stroke of a smooth action button. ASSEMBLY - Dispensers come with all materials providing the option to either tape or screw to wall surface. For cosmetic surfaces recommend tape and tile glue (not supplied).